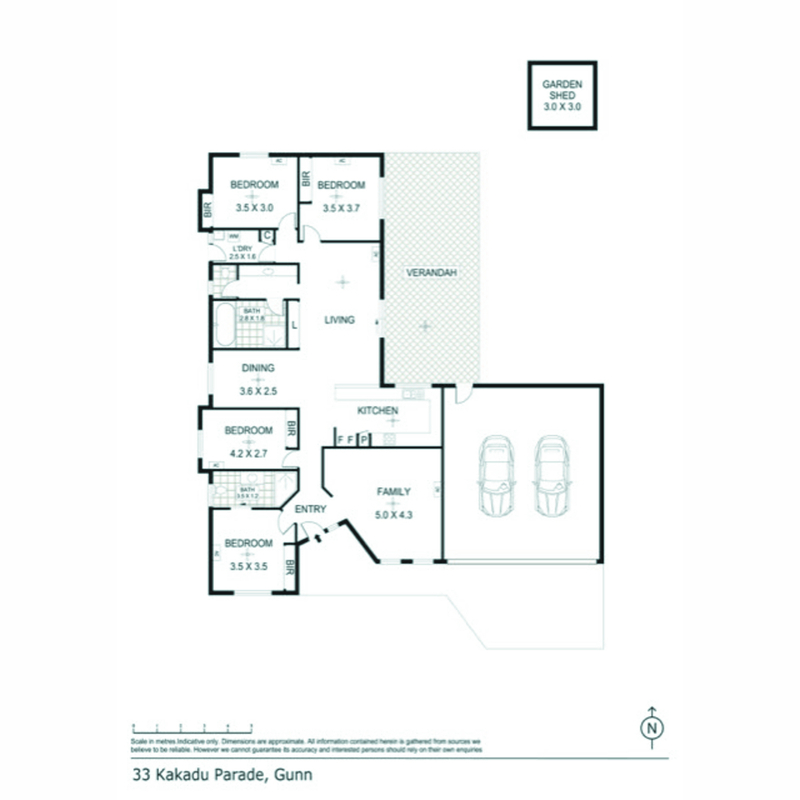 Text ’33KAK’ to 0488 810 057 for all property information. 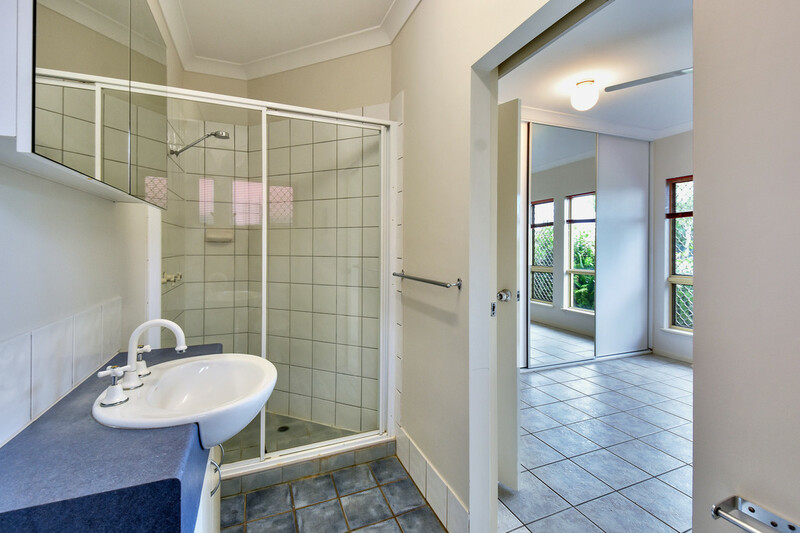 Located within a quiet and leafy street, this immaculate 4 bedroom family home has dual living areas and a sweeping open concept design that is perfect for the modern family. 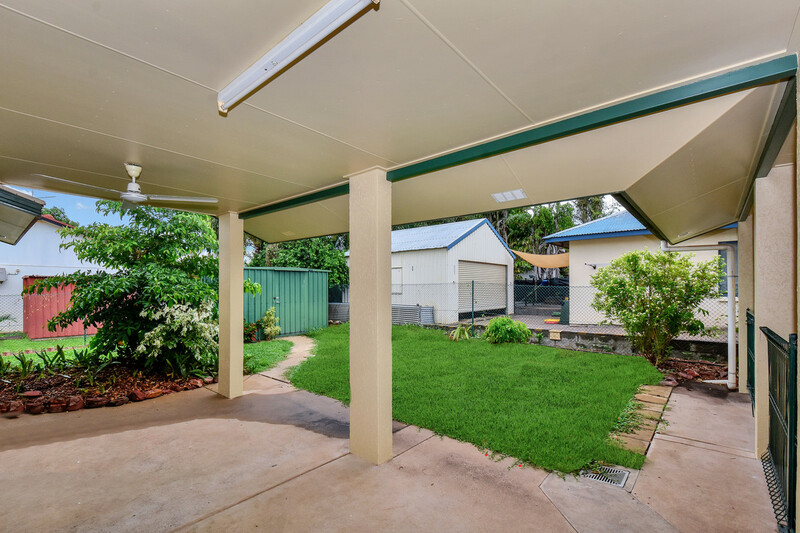 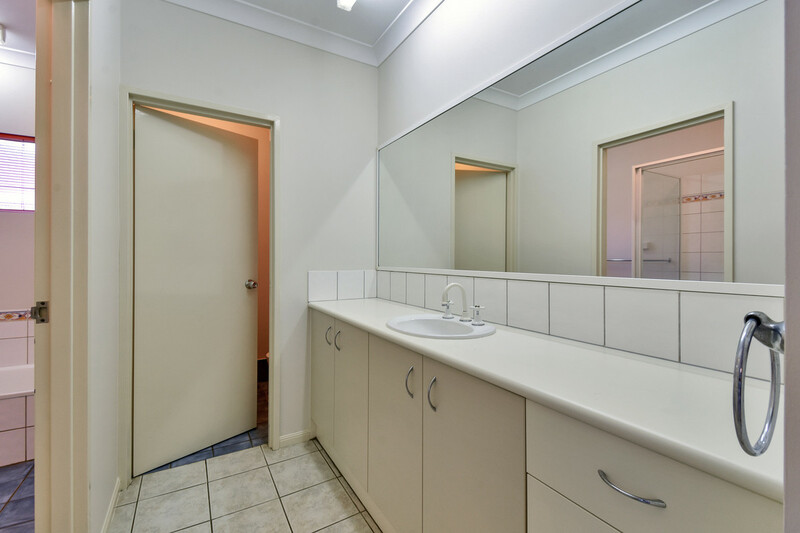 Included is a large garden shed, carport parking and grassy areas for the kids to play, 5 minutes from Palmerston CBD and Gateway, the home is move in ready. 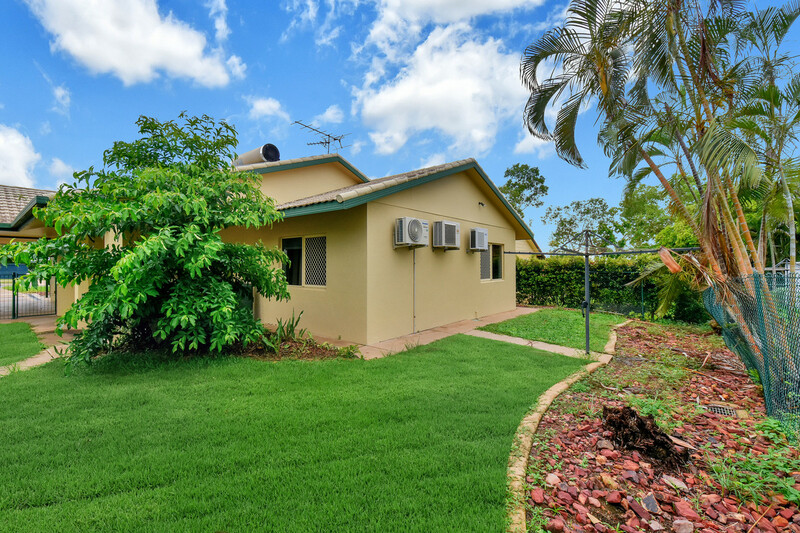 Located on a quiet, tree lined street, the home has double carport parking bay at the front with a formal all weather access to the front door. 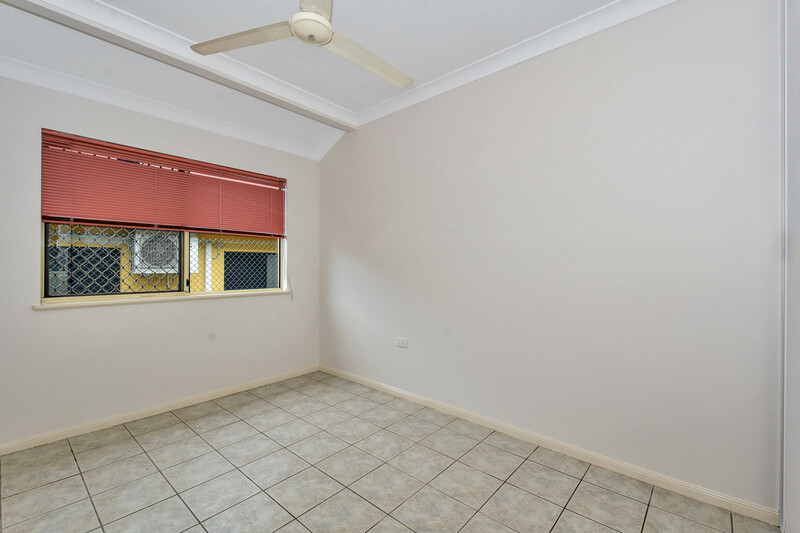 Inside is a large sun filled rumpus room with tiled flooring and A/C. 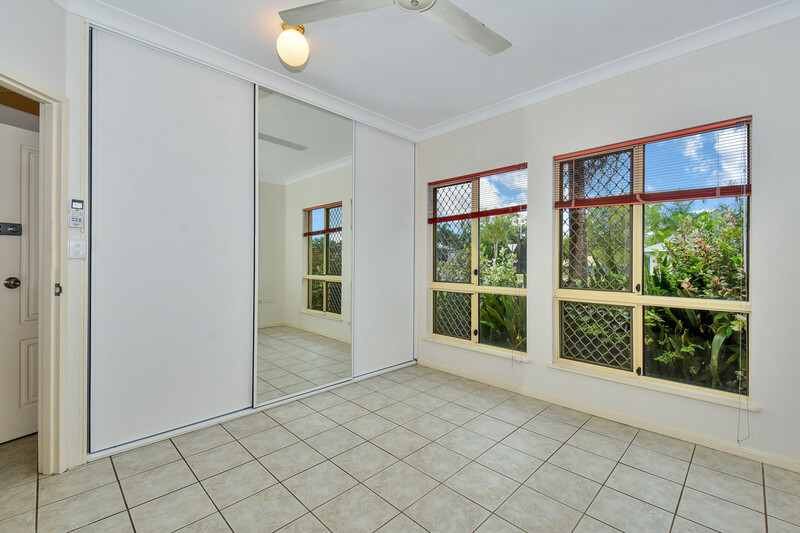 The master bedroom is also front facing with a large window to frame the gardens and let in the natural light to play off the cool tiled flooring. 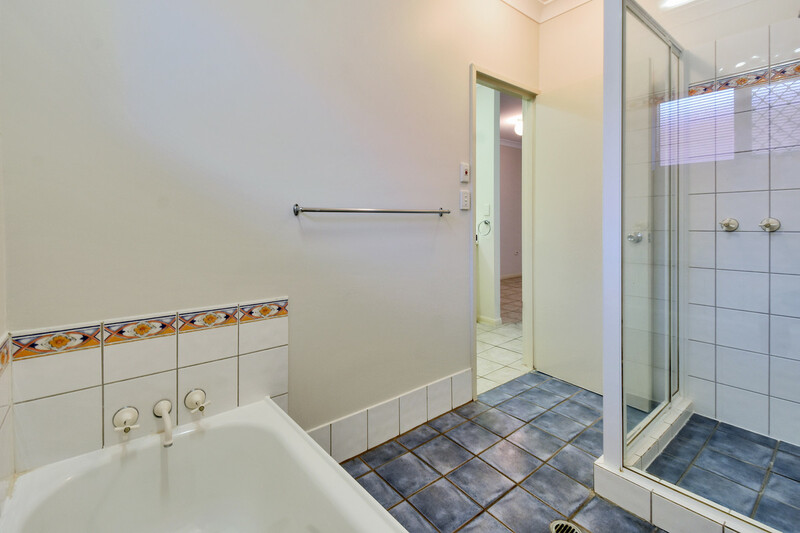 This bedroom includes a generous ensuite bathroom plus a built in robe and A/C. 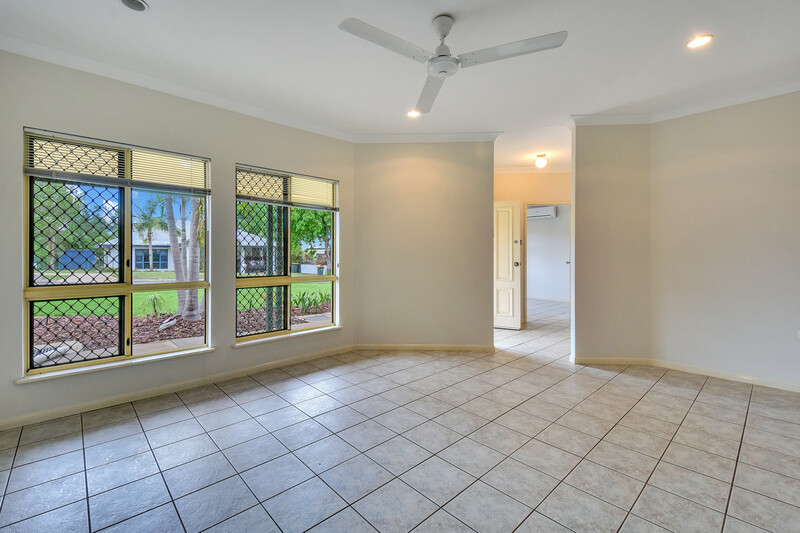 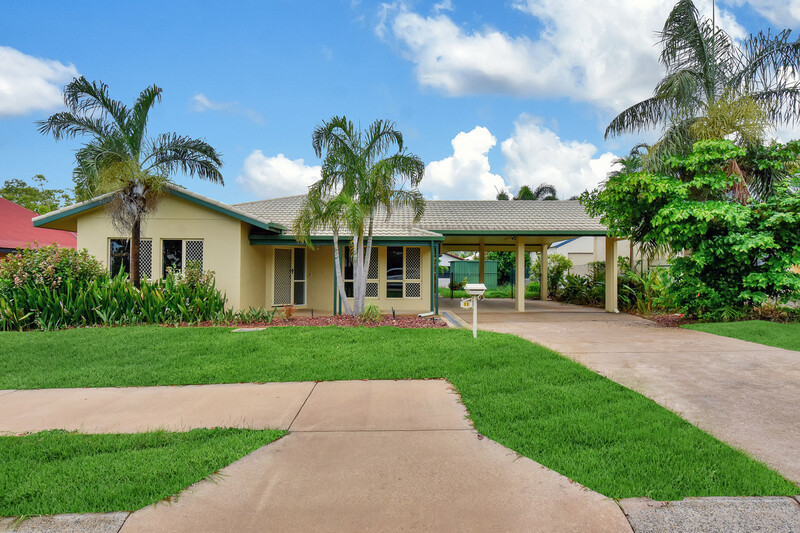 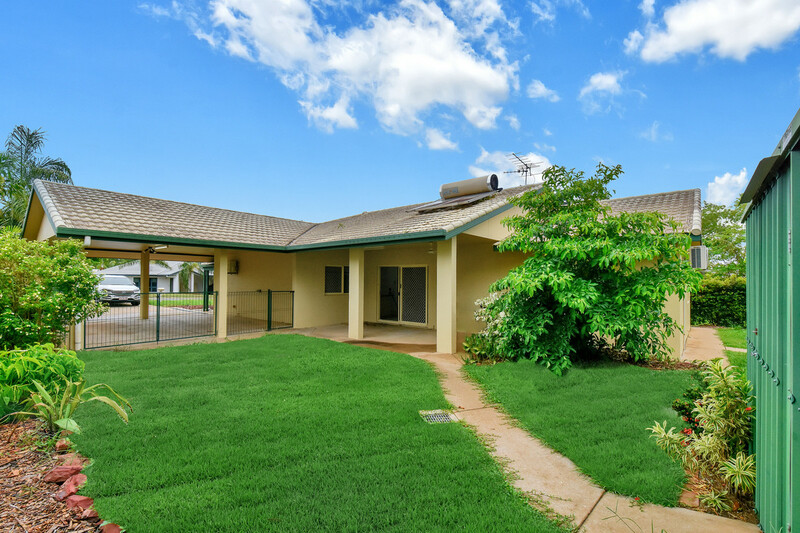 Central to the home is a sweeping open concept living, dining and kitchen area all with tiled flooring and A/C along with sliding door access through to a side verandah. 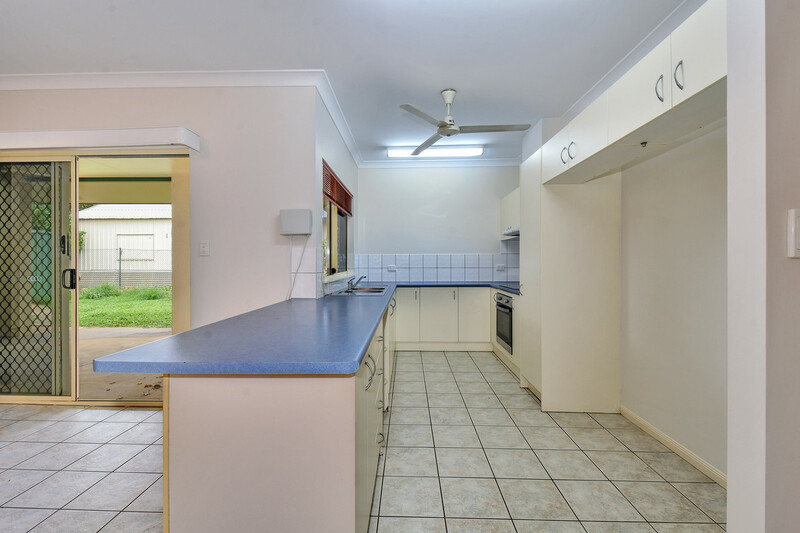 The kitchen has hard wearing laminate counters along with overhead storage and plenty of prep areas to work from. 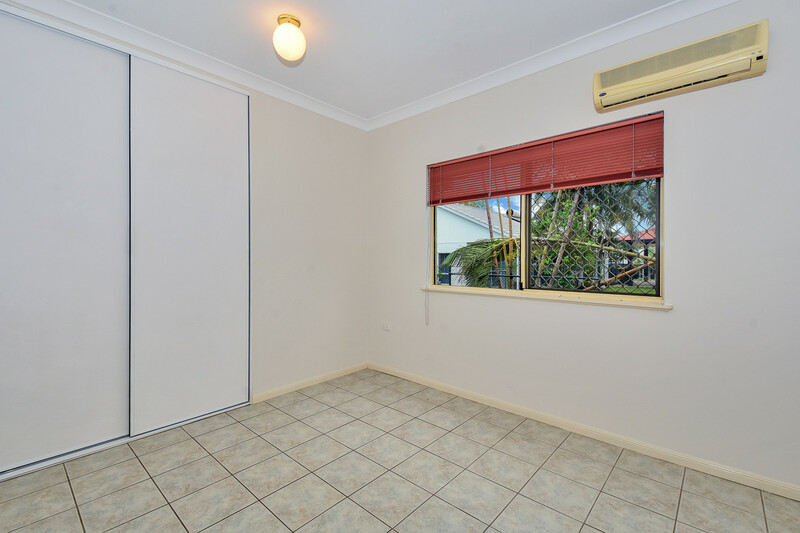 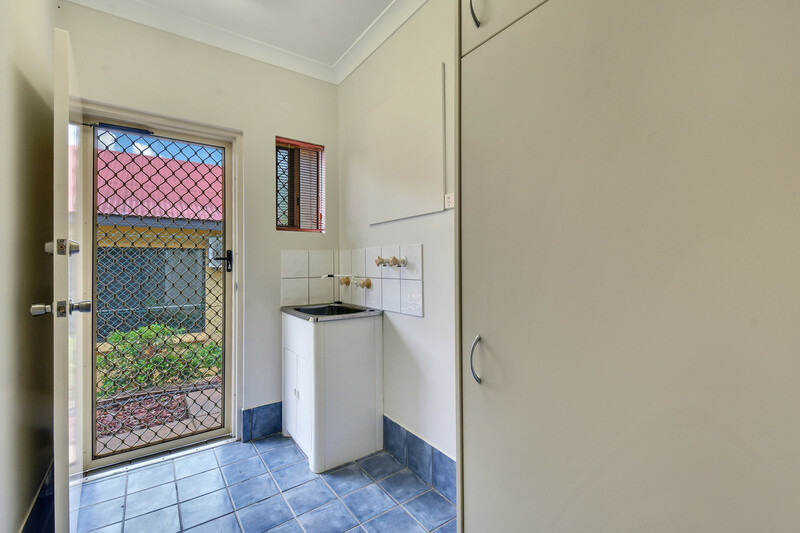 At the rear of the home are two bedrooms each fitted with a built in robe and A/C along with large windows to showcase the garden views. 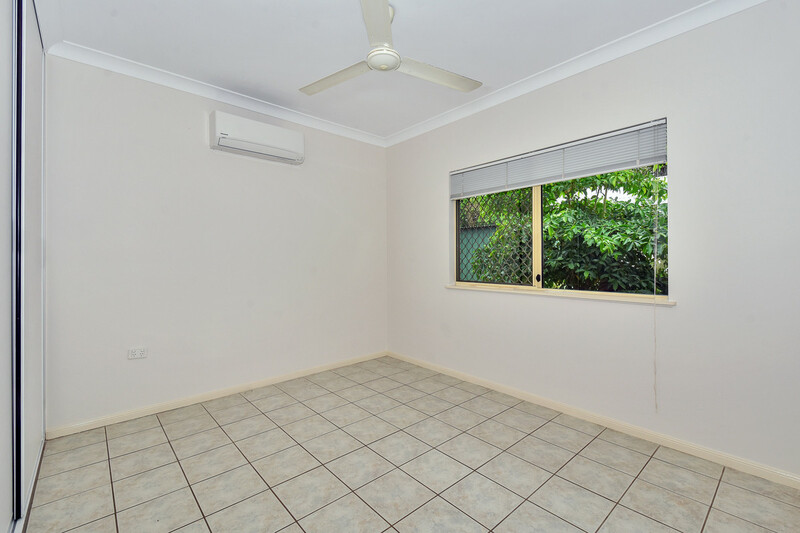 The 4th bedroom is a versatile room that hosts a BIR but could also be a home office, large media room or kids play room. 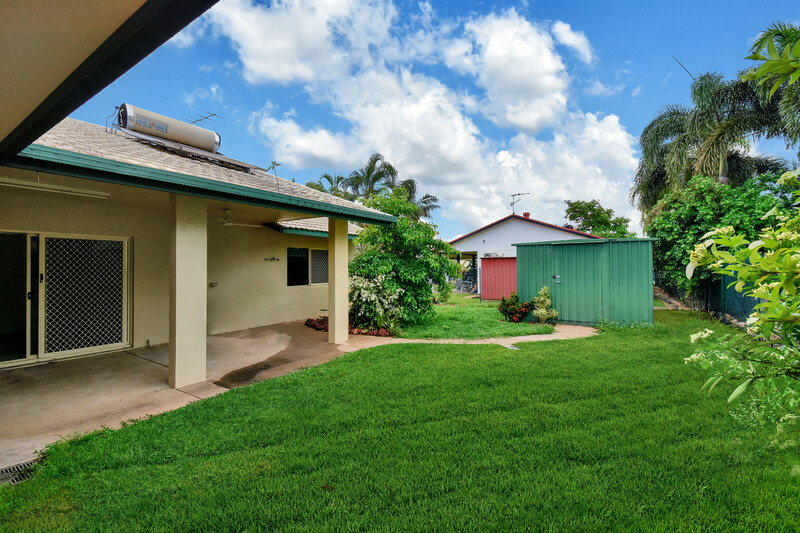 Outside the home has easy care gardens along with a garden shed for the tools and toys making this home the complete package, vacant and ready to move into, this is a must see home that the family will enjoy. 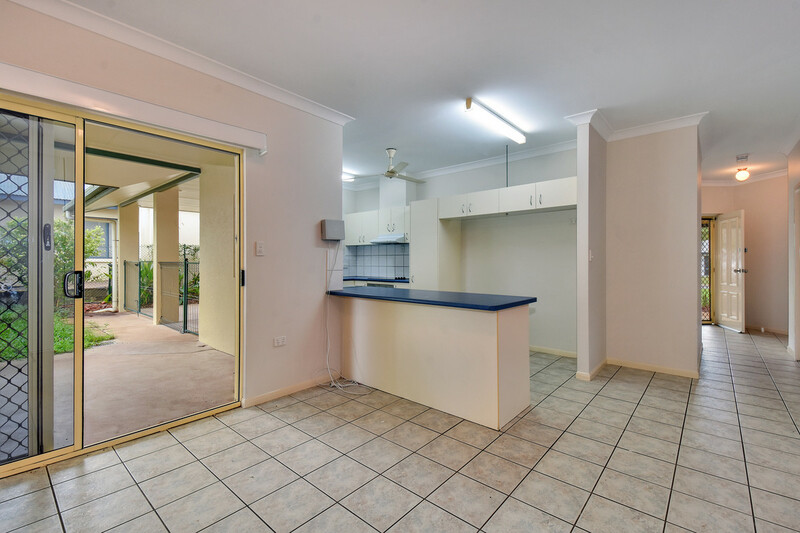 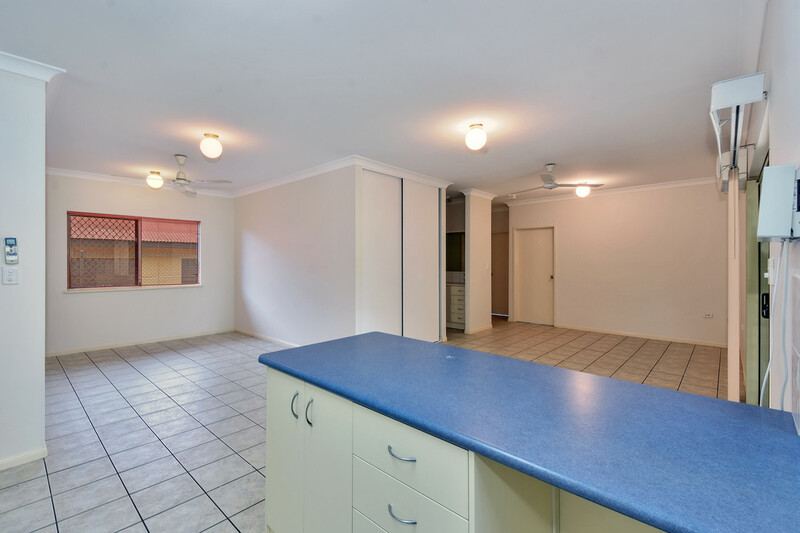 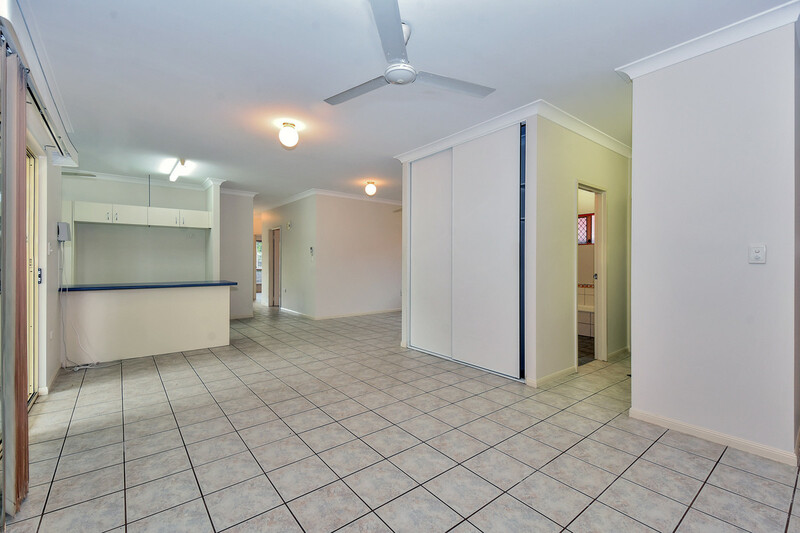 •	Large 4 bedroom family home with a fresh coat of paint, vacant and ready to move into!